The directory service has been a core part of just about every IT infrastructure for a long time now. It just hasn’t gotten a lot of attention because it has been monopolized by one vendor, Microsoft, with little innovation or interest in the IT community. That is starting to change though, and the shift to cloud identity management is dramatically changing how IT manages their IT infrastructure. 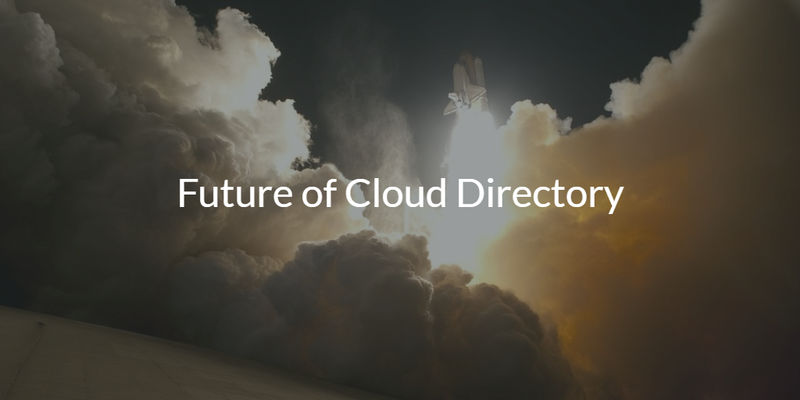 The future of the cloud directory is now upon us, and it may be one of the most important IT infrastructure transformations we have seen. The story of modern directory services started with the introduction of the LDAP protocol. Our advisor, Tim Howes, and his colleagues at the University of Michigan created LDAP in the early 1990s. LDAP would become the backbone for the most popular open source directory service, OpenLDAP™, and for Microsoft Active Directory®, which would go on to become the most popular commercial directory solution. Of course, AD would shift more focus to Kerberos, but it was a core part of the way that AD started. The way directory services worked with AD, was that it would connect users to their Microsoft Windows systems and applications, which were all located on-prem. Understanding the environment, it makes a great deal of sense why AD went on to monopolize the space. 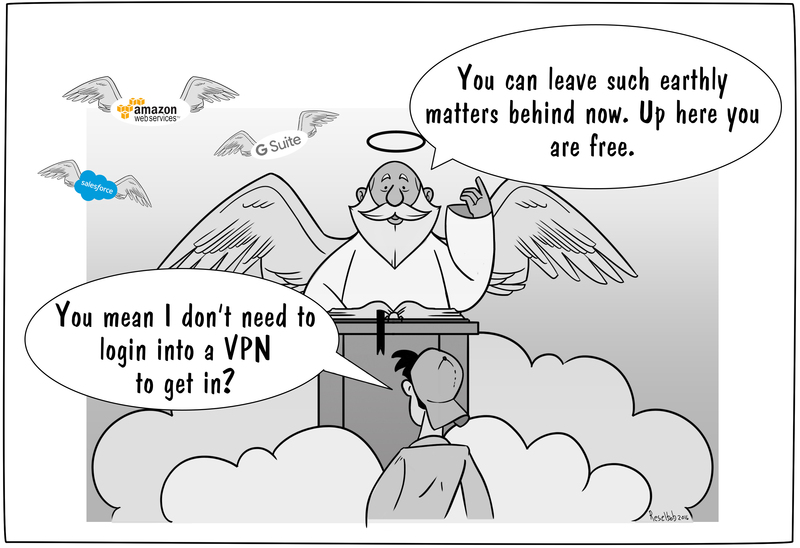 A user would simply login to their device when they were on the network, and that would give them access to their IT resources (resembling what we now call True Single Sign-On™). This provided IT with the control that they were looking for, and end users would have frictionless access to the IT resources they needed to access. As time went on, though, the IT landscape started to change. Looking back now, it was only for a fleeting moment that everything would come together for Active Directory, but the power of their model would continue their success for many years. Even in the early 2000s, web applications started to emerge that were not controlled by Active Directory. Two more significant changes came with Google Apps (now known as G Suite) and AWS, which quickly came on to the scene and transformed how IT organizations did business. Apple’s resurgence changed the face of the on-prem IT network with more Mac and iOS devices. Linux would go on to replace Windows Server as the dominant data center platform. WiFi emerged quickly to replace wired networks, and the massive expense of running the internal IT infrastructure. All of these changes would make Active Directory less valuable to IT organizations. As every type of IT infrastructure component was making the leap to the cloud, cloud identity management finally started to emerge as a viable alternative to on-prem IAM solutions. The first wave of cloud IAM solutions focused on web application SSO platforms. But, Directory-as-a-Service® soon emerged as the future of directory services. Instead of just being a shift of Active Directory to the cloud, the cloud directory was a reimagination of the directory service and Active Directory completely. Cloud directory services are securely managing and connecting users to IT resources regardless of platform, protocol, provider, or location. Directory-as-a-Service is central user management, cloud LDAP, RADIUS-as-a-Service, True Single Sign-On, system management, multi-factor authentication, audit logging, and much more all in one cloud directory service. IT admins no longer need to manage multiple IAM solutions on-prem. With cloud directory, IT admins off-load the heavy lifting of installation, configuration, and management of identity management. If you are thinking about the future of cloud directory services, drop us a note. It’s a topic that we are thinking about daily. In addition, feel free to try our modern IDaaS platform for yourself. Your first 10 users are free forever.